I'm a bit obsessive about dropping a needle or pin in the house because I'm afraid that I'll step on it or worse, my cats will try to eat it (I've caught one of them trying to eat screws so it's a possibility!). To keep my needles safely organized and away from my cats, I've made a simple needle holder. 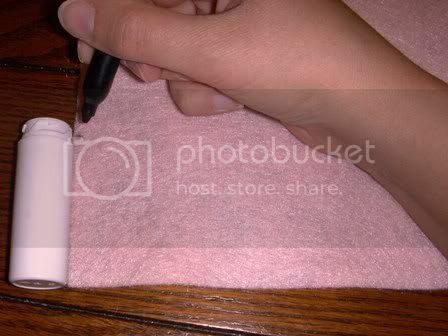 Step 1: Use the marker to mark the height of your container on the felt. I've decided to use the pill container since it has a childproof lid. 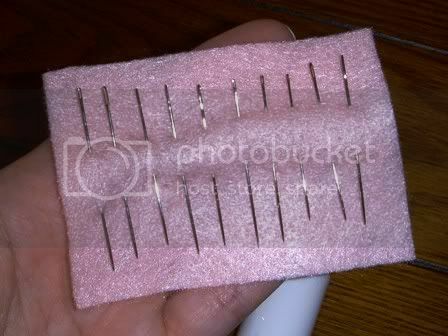 Step 2: Cut out a length of felt that is the height of your container and about 4-5 inches long. 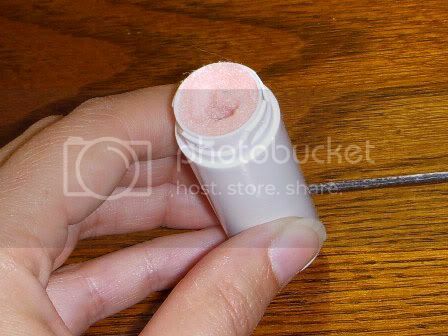 Roll up the felt and see if it will fit inside the tube. If there's too much, trim it off. 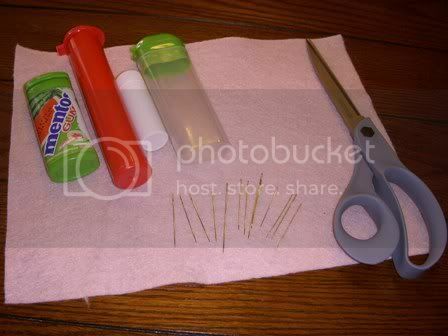 Step 3: Put your needles in the felt. Make sure they are all pointing the same way. 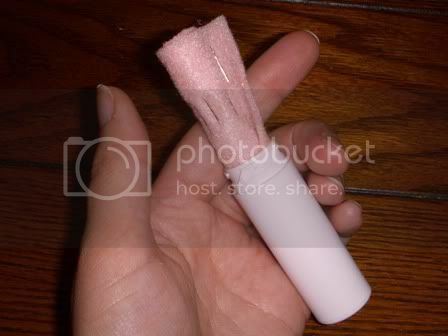 Step 4: Roll up the felt and put it in the tube. 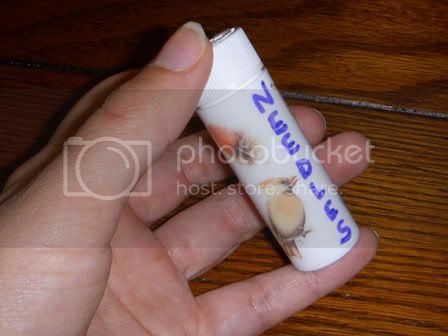 Be sure the needles are always pointing towards the bottom of the tube so you don't poke yourself when you pull out the felt. That's it! If you like you can also decorate the tube (I used stickers). I recommend labeling it so it doesn't get thrown away by accident. 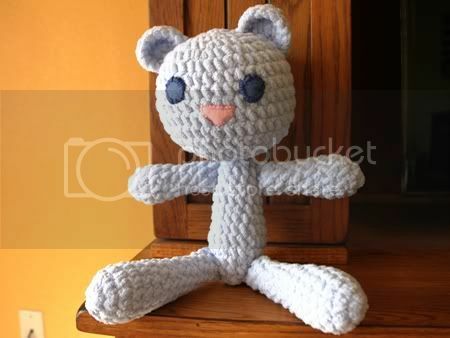 This is the fifth bear I've made using the Beary Jackson pattern from Rheatheylia.com. It's perfect for a baby gift since it's so quick and easy to make. This time I used Bernat's Baby Blanket yarn in baby blue. It's very thick and soft, sort of like a chenille. Because the yarn was so thick the bear ended up being twice the size of the other bears I made using regular weight yarn. He's almost as big as the baby! You can see the bears I've made previously here, here and here. I'm trying to get serious about writing so I've started a new blog that I hope will help motivate me at CatCarlisle.com. My plan is to alternate my posts between the two blogs - one week I'll do a craft post here and the next I'll do a writing post there. If you have an interest in books or writing, please take a look!